SUNY Adirondack is home to 4,000 students from around the state — and the world. The college is known for its friendly campus and welcoming community, made up of generations of locals who have studied at the school and gone on to become leaders in the region’s government, businesses and industry. Join the Wolf Pack and experience everything SUNY Adirondack has to offer. This Week is a digital publication for the SUNY Adirondack community about events and programs happening around campus. Departments, student organizations and community members all submit content to This Week for distribution to the campus community. How do I sign up to receive This Week? Can I see past editions of This Week? Can I submit content to This Week? Who do I contact with questions about This Week? This Week is overseen by the Student Life and Diversity office. Please feel free to stop by their office (Student Center) or email the Director of Student Life and Diversity, Matthew McKay at mckaym@sunyacc.edu. 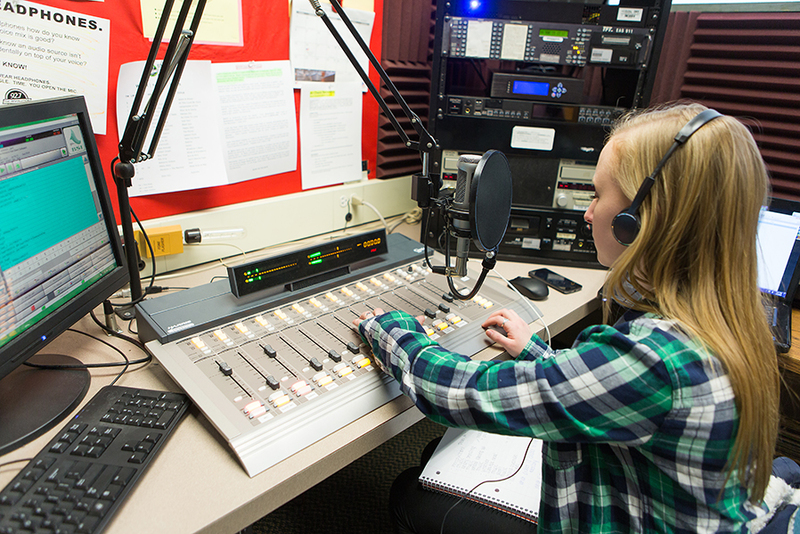 Since the early 1970s, WGFR radio has provided a pre-professional learning environment for hundreds of students interested in the broadcasting industry. Check out “The Revolution" at 92.7 FM or listen online or through the tunein app. Download the 2018-2019 SUNY Adirondack Student Handbook.